If you already have a VPS, skip to the steps below. If you are still looking for a VPS, then check out this important forex VPS review and comparison of all the top providers to make your decision easier. 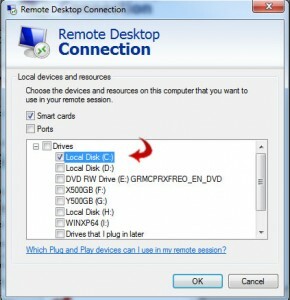 You must have a windows based VPS for this tutorial to work for you. Signup to a forex VPS provider and you will get an e-mail with an IP address, username and password to connect to. Open the remote desktop connection program in windows. You can usually find it in your Start Menu under Accessories. It should look something like the image below. Enter your IP for you VPS and your username, then it will prompt you for your password when you press connect. 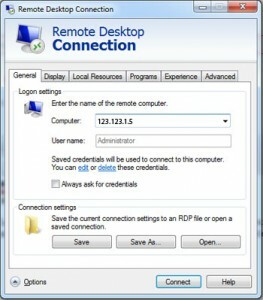 You should now be connected to your VPS and a fresh empty windows desktop should appear. All that’s left now if to download Metatrader 4 platform installer from your broker. So open up Internet Explorer and browse to your brokers website, and find the download link. Once you have Metatrader 4 installed, you will want to get your expert advisor(s) on to the VPS. 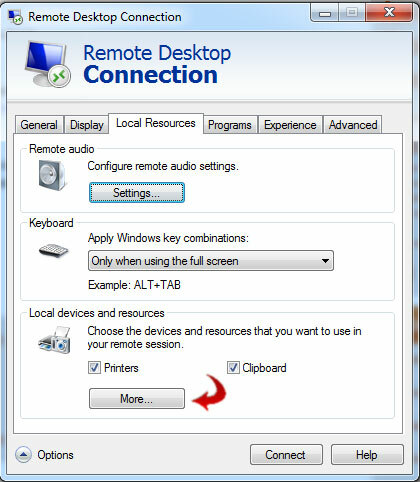 The easiest way I find to do this is using the local resources tab on the Remote Desktop Connection like so. Checkmark the drives you want to share with your VPS and click OK. Now your done and can transfer files between your desktop and your forex VPS. Install the expert advisor into your Metatrader 4 experts folder just like you would on your own computer, and then start the MT4 terminal. Attach the EA to the appropriate charts, and you’re done! Metatrader 4 is the most brokers used platform to trade forex live in foreign currency market, commodity, future and etc. Metatrader 4 mobile application is now available for IOS and Android and it is free.Traders can open trade any time, any place with wifi or cellular data. Metatrader 4 offer more than 300 trading Currency Pairs and other features Access financial markets, technical analysis and stay up-to-date with news and events. 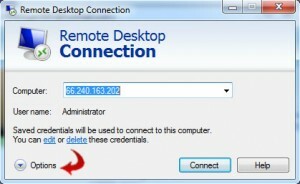 Metatrader 4 multiTerminal allow you to manage multiple accounts without sign out and sign in another account. in the new vps. what do i do? I want to know how much you charge for it. 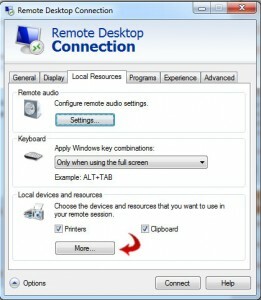 can u configurate via team viewer? I believe it’s possible to install the MT4 terminal by the same process as attaching EAs from a dive on my PC. Thanks so much. this really came handyy. the EA doesn’t appears on my platform but it downloaded successfully. What can i do?